By taking control of its destiny, the veterinary profession will remain sustainable and relevant, while maintaining animal health and welfare at its heart. Vet Futures is powered by the Royal College of Veterinary Surgeons and the British Veterinary Association to discover, with your help, how this can be achieved. 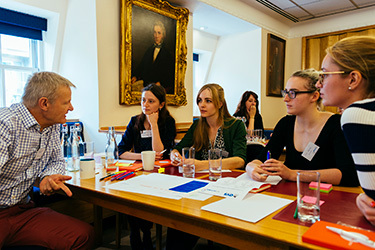 At the core of Vet Futures is research, involving veterinary and veterinary nursing organisations, members of the veterinary team and animal owners, to find out which issues you feel will affect the future of the profession. We are also looking at the issues facing the profession overseas, and how other regulated professions are shaping their futures. You can visit the series of controversial blogs we put together during the exploratory phase of the project in this section. And you can also read the more recent blogs from our Action Group members. Please visit ‘Discuss’ and join the debate!